Learn more about Civic Outreach Greeting Services. Learn more about Civic Outreach Tour Services. Navigate here to visit our Profile Book. Learn more about Civic Outreach Luncheons. 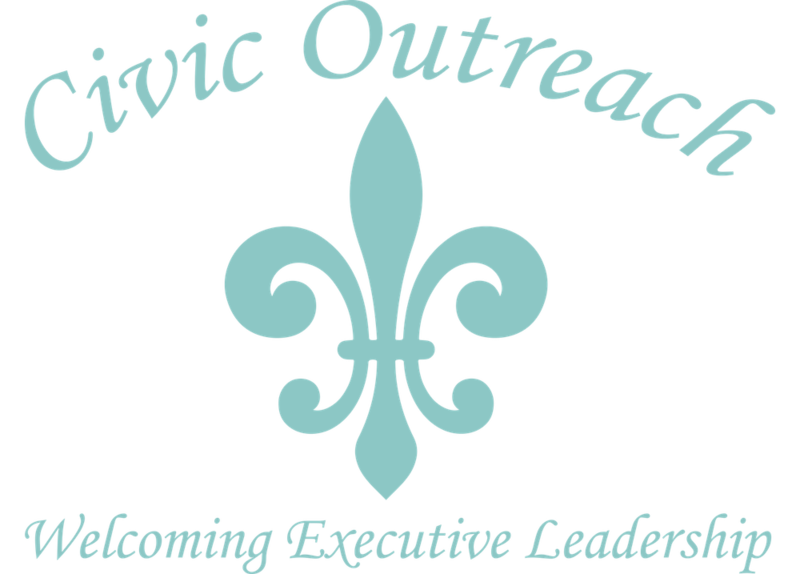 Civic Outreach is an upscale public relations program, founded in 1975, as a dignified, effective networking vehicle for business and professional people. It is targeted and personal, offering selected sponsors an opportunity to be the sole representative of their business or professional category in welcoming newcomer executives and new business owners to their city. Sponsor selection is influenced by the status of the individual in the business or professional community, and the degree of civic involvement the person has demonstrated.